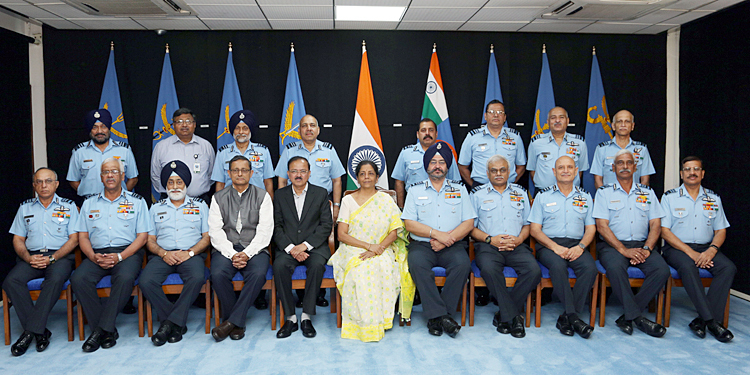 CAS briefed RM on the current status of the IAF and on Exercise 'Gagan Shakti', which was conducted in April this year. CAS highlighted that the exercise was very fruitful in testing IAFs surge operations capability, logistics supply chain, rapid augmentation of personnel, inter theatre move of forces, communication network and reliability of equipment & systems. It would be pertinent to recall that Raksha Mantri had visited North Eastern Sector during the Exercise to witness Air to Ground weapon delivery by IAF fighters and helicopters, operation from ALGs, accelerated fighter operations and Garud Assault Drill. While addressing the IAF Commanders, RM praised the exemplary conduct of IAF's biggest exercise in the recent times. She complimented all personnel for sustaining round the clock operations in the most professional manner. She said that the focus of Exercise 'Gagan Shakti' was to draw lessons for evolving the doctrinal loop which is an ongoing process. 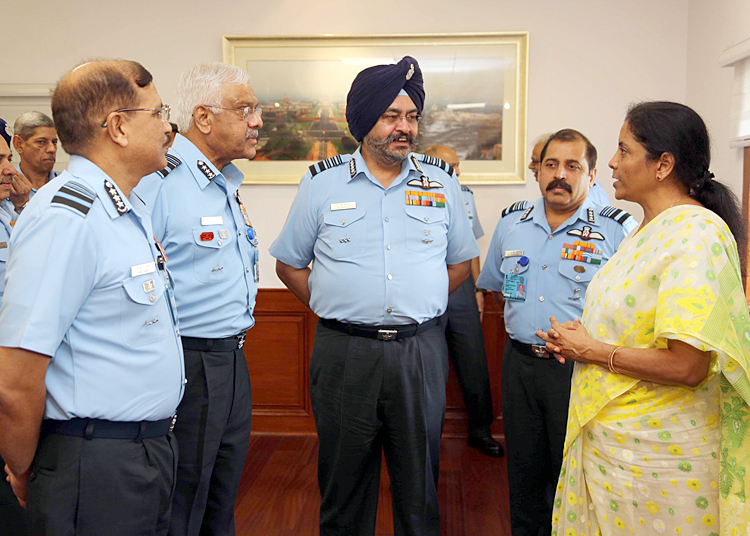 She mentioned that Exercise 'Gagan Shakti' was a landmark exercise for IAF. 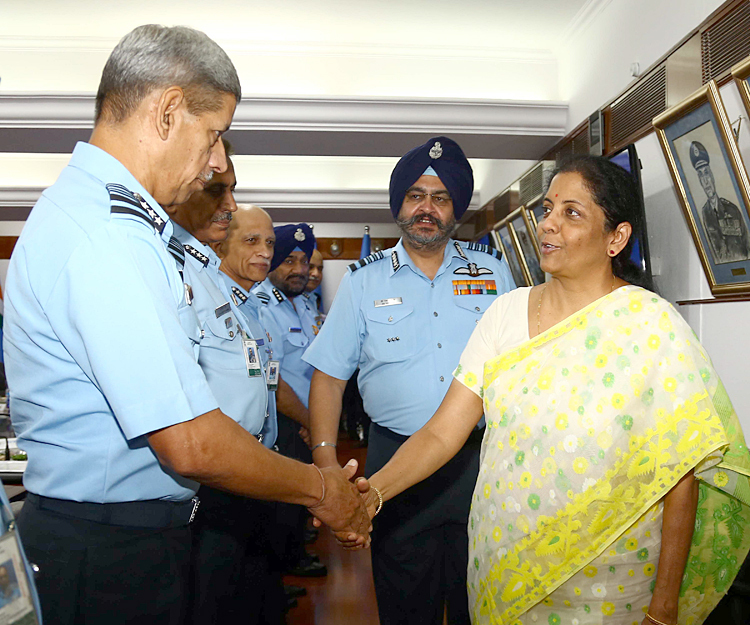 She complimented the IAF for a leadership role in jointmanship which was evident during the exercise and congratulated the Army and Navy for supporting the Air Force in achieving the objectives of 'Gagan Shakti'. While laying down her vision for contribution of the IAF towards indigenisation, she emphasised that being a tech intensive service the IAF should pioneer in laying the roadmap for absorption and production of high end aviation technology products in India and propel India's growth in these sectors as envisaged in Government of India's 'Make in India' policy in the next 15 years.